Spring Break Road Trip: Myrtle Beach!! 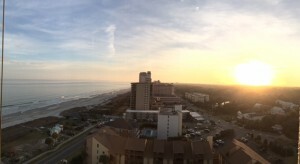 Home Health	Spring Break Road Trip: Myrtle Beach!! 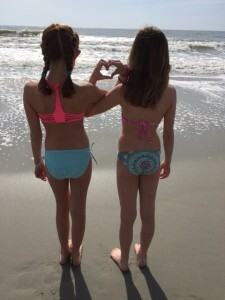 Our Smarty friends at Visit Myrtle Beach hosted us for a weekend last weekend and let me tell you, we had a ball! I haven’t been to Myrtle in a while and the first thing that came to mind was the Grand Strand. This is wild and crazy and all, but there is so much more to Myrtle than just this booming area. Did you know Pawley’s Island is considered an extended area of Myrtle Beach? This is a hidden gem in my book. So much that our fam is headed back to this area over Spring Break. 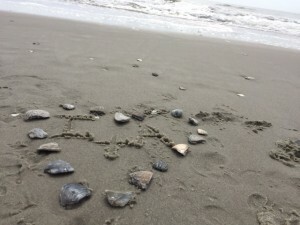 The greater Myrtle Beach area is absolutely stunning with great restaurants, golf, fishing, outdoor adventure, fun local shops and a zillion things to do with your family. Here’s what team Smarty did on our Mother/Daughter Girls Weekend. Basically, we gave our girls a little training on how to do a girls weekend just right. First up, the beach. Because that’s what it’s all about. Putting your toes in the sand and we did just that. 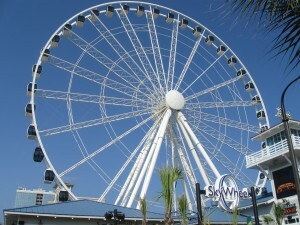 Next up, the Skywheel, all 187 feet of it! 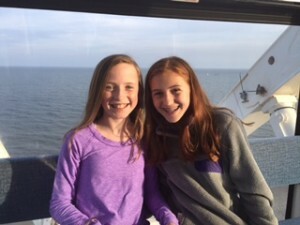 This oozed cool and the girls had a blast at the top with this amazing view. 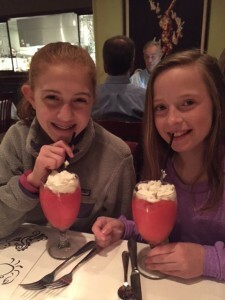 The food was delish and the Trip Advisor app guided us into the best restaurants ever (major Smarty tip – download this app pronto if you’re headed out of town!)! 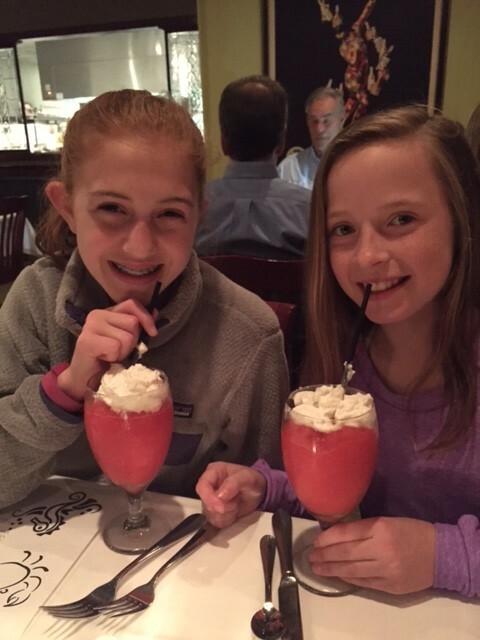 Our favorite was Aspen Grille! The girls tried oysters for the first time and loved them. We devoured all courses of our meal and enjoyed the flounder and the most incredible fresh berry bread pudding we’ve ever had. Y-U-M, we will definitely go back (don’t fret – virgin daquiris below)! One night we decided to stay in lounge clothes, watch TV, and get take out. 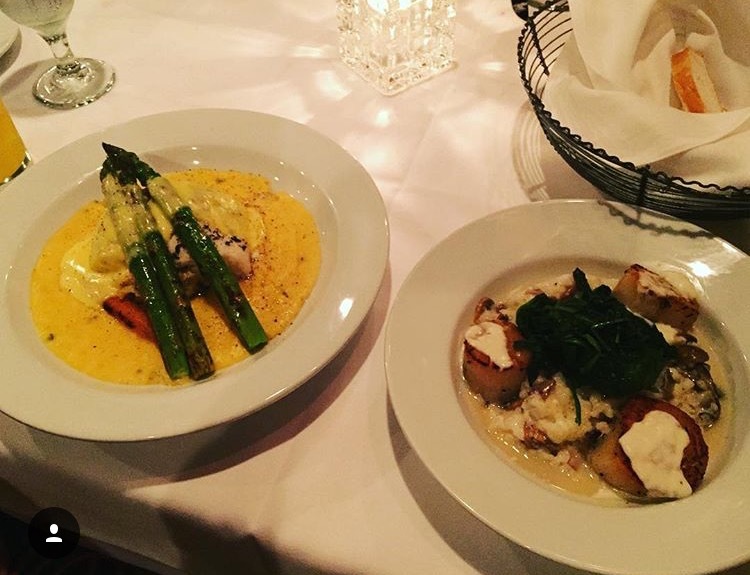 We headed to Toscana Italian Bistro, which was right near our hotel. Delicious pasta and salad – it was the perfect way to veg in front of the TV and catch up on HGTV’s “House Hunters.” Before leaving Myrtle Beach, we got a quick brunch at Johnny D’s Waffles and Bakery – it’s a great family joint with delicious homemade breakfast and lunch items. 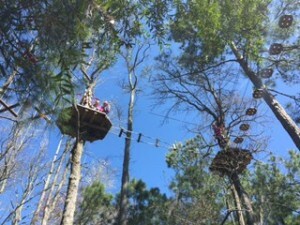 But hands down, the girls’ favorite part of the trip was Go Ape Treetop Adventures. 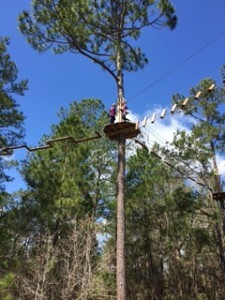 This adventure course is no joke and was expertly designed including 5 zip lines, with 2 taking you across a 25 acre clear blue lake on the Southeast side of the park. The views are simply stunning as you zip over the water from one side of the lake to the next. The Go Ape course is made up of numerous rope ladders, 40 exciting crossings to include the Spiders Web, Zigzag Bridge, Flying Carpet and Jungle Crossing, 2 Tarzan swings and 5 zip lines. 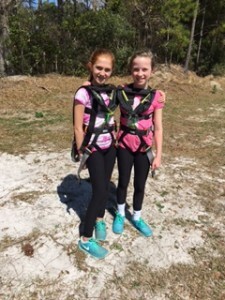 Overall, there are 5 individual sections within the course, each section taking you higher into the forest canopy and finishing with a zip line! 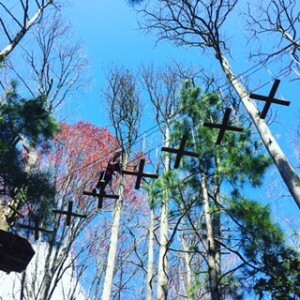 Zip line #4 is over 600 feet and zip line #5 is Go Ape’s longest zip yet at over 900 feet! 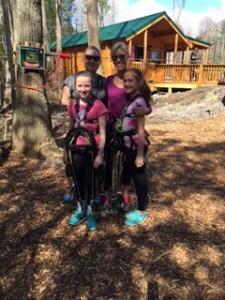 The entire course, spanning 6 acres, consists of over 2,440 feet worth of zip lines, providing some of the longest zip-lining experiences in the state and region! Here are some pics to give you an idea of how high up you are, A-M-A-Z-I-N-G! Did you notice anything here? Anything missing? That would be ME! Yep, I had to get rescued. I thought I had a “smidge” of a fear of heights. Turns out, I’m a true tree-hugger, I didn’t even make it to the third pole. But that’s a good thing b/c we would have had ZERO cool pics & video to document this super cool journey that every single kid would love! 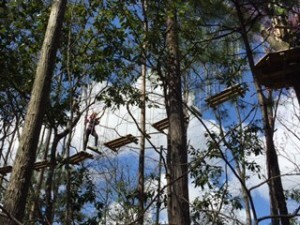 Here’s Cheryl, the bravest mom of all – I CANNOT BELIEVE SHE ZIPPED THIS BADA$$ COURSE FOR 3 HOURS – she rocks!! If you are traveling anywhere, I highly recommend you check out Go Ape’s website here. They have 14 locations all over the country – you just might get lucky this Spring Break! Smarty Plyms are headed back to Go Ape for sure! 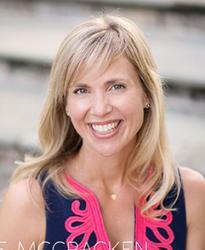 From the Smarty Education Corner and Charlotte Preparatory School: Montessori Education – Fit for A King! How did you feel about the safety of the zip line place? I was excited to try it next week on our family spring break, but my husband said “no way” after what happened at Cheerio last summer. PS – It’s REALLY fun, and we’d totally do it again!